Eight months ago, Raynell Bennett, Director of Planning, Evaluation and Operations for the U.S. Capitol, received a telephone call that would keep her office and many others throughout the capitol campus very busy. Pope Francis accepted an invitation from Speaker of the House of Representatives John Boehner to address a joint session of Congress, and nearly every Architect of the Capitol (AOC) mission area would be called upon to support the visit. "It was a great opportunity for multiple jurisdictions within the AOC to work together. We treated the preparation aspects of his visit much like a rehearsal for the next inauguration," said Bennett. 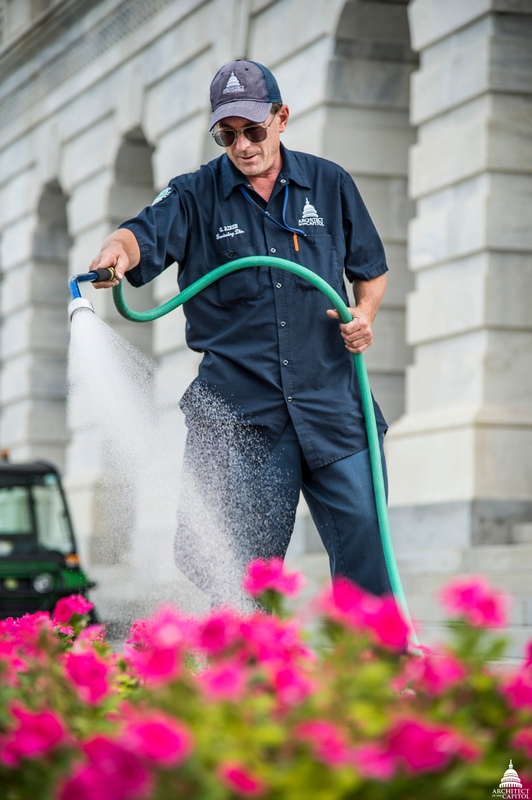 Capitol Grounds crew prepares the campus for the Pope's arrival. 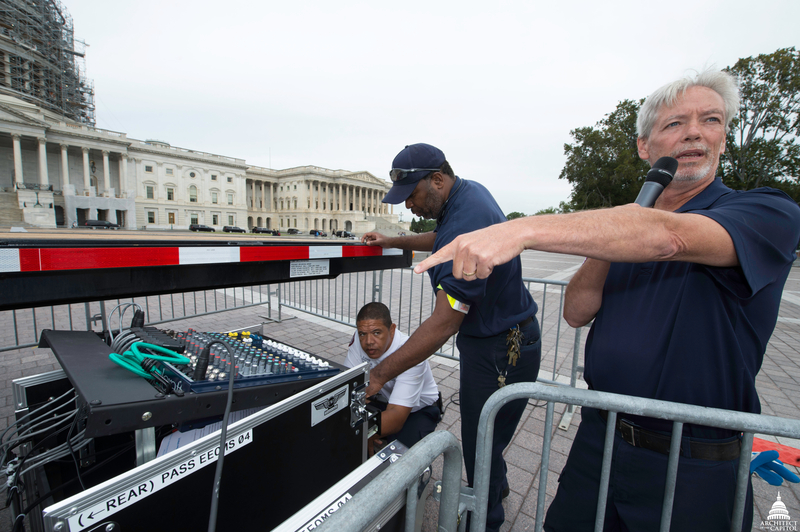 The Office of Security Programs partnered with the United States Capitol Police to install anti-scale fencing, bike racks, and concrete barriers to ensure a secure perimeter and proper crowd flow. The Capitol Electric Branch and multiple shops within the Electronic Engineering Branch ran cables and connections to power microphones and large television screens to ensure that the public would be able to hear and see the joint session. 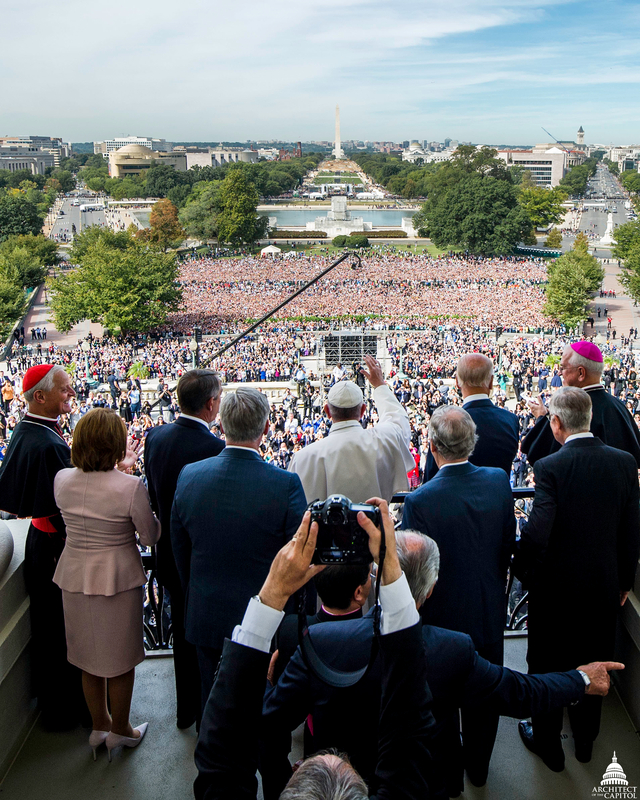 When the decision was made that Pope Francis would address the crowds assembled along the West Front, the Capitol Building Carpentry Shop built a platform for the Pontiff to stand on so that the crowds below could see him. The Capitol Building Sheet Metal Shop constructed a safety bannister that seamlessly matched the ornate railing of the Speaker's balcony. Employees and volunteers with the Capitol Visitor Center provided planning support and wayfinding, in addition to escorting guests the day of the visit. The Capitol Building Paint Branch puts the finishing touches on the safety bannister. 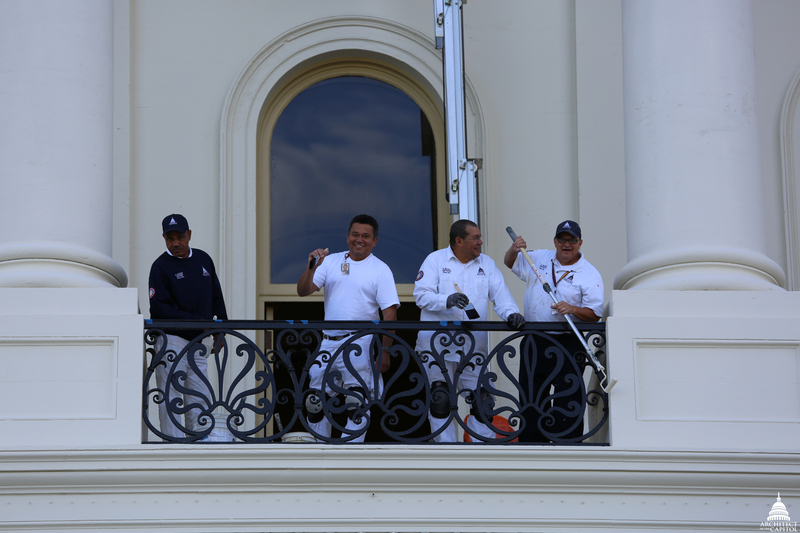 Always committed to documenting the history of the Capitol, the Architect of the Capitol Photo Branch coordinated with engineers to capture the Pontiff's view of the West Lawn as he stepped out onto the balcony. The Capitol Sheet Metal Shop created a camera bridge that hung at the top of the doorframe. AOC shared the bridge with four additional cameras, all documenting the historic event on the balcony. By all accounts, the Pope's visit to the Capitol was a success. In the words of Bennett, "if you can envision it; our people can make it happen."